PrepaidCardStatus Login and Balance Check. Log in to the the Prepaidcardstatus Visa or Mastercard Prepaid gift card website to manage your newly purchased gift card. Once logged in, you can register your card, check your gift card balance and view your past card usage. PrepaidCardStatus, or Prepaid Card Status, is the name of an online service that can be used to manage prepaid Visa or MasterCard gift cards that have been issued by Swift Prepaid Solutions. By registering a card through the website, users can check information about their card, such as their current balance. The prepaid Visa and MasterCard gift cards issued by Swift Prepaid Solutions can be used anywhere in the United States where Visa or MasterCard debit cards are accepted, while some cards can also be used overseas. Registering a card with PrepaidCardStatus also offers further benefits, such as the ability to view your transaction history. Swift Prepaid Solutions is one of the top three non-bank issuers of Visa and MasterCard incentive/corporate disbursement cards. Swift Prepaid Solutions work with and issue cards for a large collection of Fortune 1000 companies. 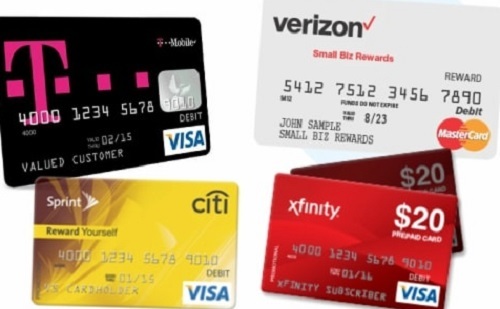 Companies that issue Prepaidcardstatus.com Prepaid Visa Gift Cards include: Verizon, Xfinity T-Mobile and many others. How do I log in to my PrepaidCardStatus.com account? Once you have registered your card, you can log in to your account by visiting the main PrepaidCardStatus website and using the form that is present on the homepage. There are two main options here: logging in with your 16-digit card number and security code, or logging in with your Wallet username and password. To log in using the first method, simply enter your 16-digit card number without spaces in the field marked ‘Card Number’, then enter your three-digit security code in the field marked ‘Security Code’ and click on the ‘Login’ button. If you are presented with a security check, click on the option labelled ‘I Am Not a Robot’. The 16-digit Card Number is found on the front of the card. The 3-digit Security Code is found on the back of the card. Alternatively, if you would prefer to use your Wallet username and password, click on the link underneath the main form, which is labelled ‘Use Wallet Username’. The form on the main page should then change. Enter your username in the field marked ‘Username’ and then enter your password in the field marked ‘Password’, then click ‘Login’. The new Swift Card Wallet feature allows all cardholders to collect and store their physical cards in one placeand view all their digital rewards in one interface. This is possible while maintaining the security and protection cardholders. However, you log in and register/set up a digital Wallet before this function is activated. I cannot log in to my PrepaidCardStatus account. What could the problem be? From time to time, users may run into problems when attempting to log in to their account. There are a number of well-known issues, so if this applies to you, the best option is to run through the following troubleshooting steps, until you find the solution and are able to gain access to your account again. The first step is to check that you have definitely entered your card number and three-digit security code properly. It can be difficult to spot typing errors within a 16-digit string of numbers, so it may be best to delete what you have entered and re-type it. These numbers must be entered without spaces or dashes. Another option is to try to log in using your Wallet username and password, instead of your card numbers. When doing so, remember that your password is case sensitive and needs to be an exact match to what you entered in the password field during sign up. You should also make sure CAPS LOCK and NUM LOCK are turned off. Check that the card has not expired. You can find the card number on the front of your card. It is possible that your login problems may be linked to your web browser or device. For this reason, it is worth clearing your cache and trying again. You might also want to try a different web browser, with Mozilla Firefox being our recommended choice. Failing that, try logging in using a different device, assuming you have access to one. Finally, if all of these steps have failed to resolve your problem, you should call the toll free customer service telephone number, which is: +1 (866) 230-3809. If you would prefer to use an online form, you can do so from the main PrepaidCardStatus homepage by clicking the ‘Contact Us’ link in the top right hand corner of the screen. Always check the expiration date on the card. If your card is not working or is not recoqnized by the website, it may have expired. How do I register my Prepaid Visa or Mastercard on PrepaidCardStatus.com? In order to register your prepaid card with the Prepaid Card Status service, you must first visit the main website at www.PrepaidCardStatus.com. You should have your prepaid card on hand, so that you can enter the 16-digit card number and the three-digit security code written on it during the sign up process. Once the page loads, you should see a form, with the labels ‘Card Number’ and ‘Security Code’. Simply enter the requested information in the relevant fields and then click the ‘Login’ button underneath. After doing so, you may also need to tick a box for security purposes, to show that you are a human user and not a robot. After you gain access to your account, you can follow the on-screen instructions to register your card. In order to use the card for online purchases, you will need to do this and enter accurate contact details. Moreover, you will also find an option to set up a Wallet username and password for future use with PrepaidCardStatus. How do I check my balance using the PrepaidCardStatus Service? In order to actually check your balance, go to the main PrepaidCardStatus website and log in using the form on the homepage. Once you have gained access to your account, click on the option labelled ‘Check Available Card Balance’ and your current balance will be displayed on the screen. You can also see past transaction by clicking on ‘View and Print Account Statement History’. If you are unable to see your balance through the website for any reason, you can also check your available balance by calling the customer care number on: +1 (866) 230-3809 and then selecting the ‘Balance’ option when prompted. Should you need to contact the PrepaidCardStatus customer service department for any reason, the number to call is: +1 (866) 230-3809. You can use this number to ask questions about the service, to request your current balance and even to register your card in the event that the website is unavailable. If you would prefer to get in touch using an online form, you can do so from the main website. Click on the link in the top right hand corner, labelled ‘Contact Us’ and fill out the form that pops up. You will need to provide your name, your phone number and your email address, so that they can respond to your query. PrepiadCardStatus.com is owned by Swift Prepaid Solutions. PrepaidCardStatus Visa and Mastercard FAQ. 1. Where can I use my prepaid Visa/Mastercard card? The front of your card will indicate if the card can be used in the United States and U.S. territories. Some merchants may choose not to accept out of country currency. 2. Where can I use my Prepaid Visa/Mastercard card? Physical cards can used at physical merchant locations, over the phone, for mailed payments and online. 3. Can I make an online purchase? You can use your Prepaid Visa card to make online purchases at all online merchant that accepts Visa debit cards. Many online merchants will perform an address, zip code and/or name verification. You may update your profile Prepaidcardstatus.com. 4. Does my card Prepaid Visa/Mastercard expire? Yes. Check the expiration date printed on the front of the card. 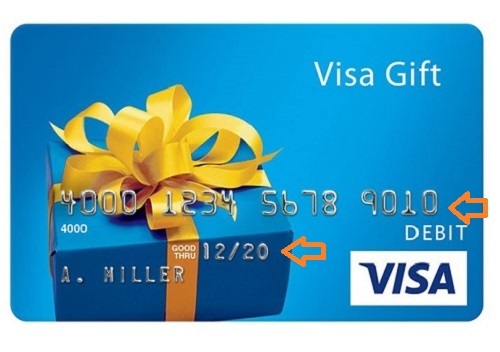 The card is valid until the last day of the month shown on the front of the card. 5. Do I need to activate my Prepaid Visa/Mastercard card? Go to the Prepaidcardstatus.com to register the card in case it is lost or stolen. Your card is pre-loaded with a value and is ready for use. 6. Can I get cash from an ATM or bank with my Prepaid Visa/Mastercard? You cannot use your card at an ATM or bank for cash. 7. Can my Prepaid Visa/Mastercard card be used for “Pay at the Pump” gasoline transactions? No, your card will not work at the pump. 8. How do I purchase an item if my balance on my card is less than the price? Pay the difference with another form of paymen. Not all merchants will accept split transactions. 9. Where can I see my card transaction history and check the card balance? See your transactions and check your balance by logging in to Prepaidcardstatus.com or by calling 1-866-230-3809. Live agents are available 24 hours a day, 7 days a week. You can access your transaction history online as well as print statements. 10. What should I do if my Prepaid Visa/Mastercard card is lost or stolen? Report the card by calling Cardholder Services at 1-866-230-3809. Your card will be blocked from future purchases. Swift Prepaid Solutions will reissue you a new card, less a card reissue fee. 11. I returned a product that was purchased with my card. When will my account get credited? Allow 3-5 business days for returns to post to your Prepaid Visa/Mastercard card account. 12. Can my Prepaid Visa/Mastercard card have a negative balance? No, it will be declined. Please share your experiences with the Prepaidcardstatus website, below. 1 PrepaidCardStatus Login and Balance Check. 8 PrepaidCardStatus Visa and Mastercard FAQ. when I called the number on the back of my card they told me to go to prepaidcardstatus.com and download a dispute form, can’t find any link to do that. my card is for the amount of $47.00 and has a 0$ balance I’ve never used the card. what do I do now?